I’ve been excited to interview Lil BUB for some time! This truly amazing jet set kitty has a loaded schedule packed with appearances and she’s often busy raising funds for special needs pets. A Vice documentary, host of her own TV show, a video game Kickstarter campaign, author, musician – wow! 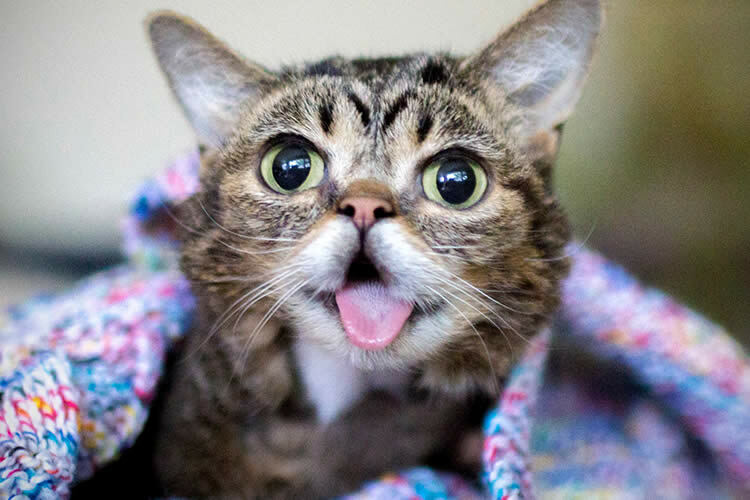 Lil BUB has an incredible story – born the runt of her litter, it soon became apparent she had a few genetic abnormalities including being perma-kitten (she will always remain kitten size with kitten-like features), dwarfism, a longer upper jaw than lower, no teeth (hence the tongue of adorableness), osteoporosis, and 22 toes. Despite these adversities and with the help of treatments like “Pulsed Electromagnetic Field Therapy,” BUB is leading a remarkable life and winning hearts all over the world (I’m talking 1.3 million Instagram followers and 2.9 million Facebook likes)! Here’s a little interview I was able to capture between catnaps and flights! Sully: What’s your favorite part about being a celebrity cat? 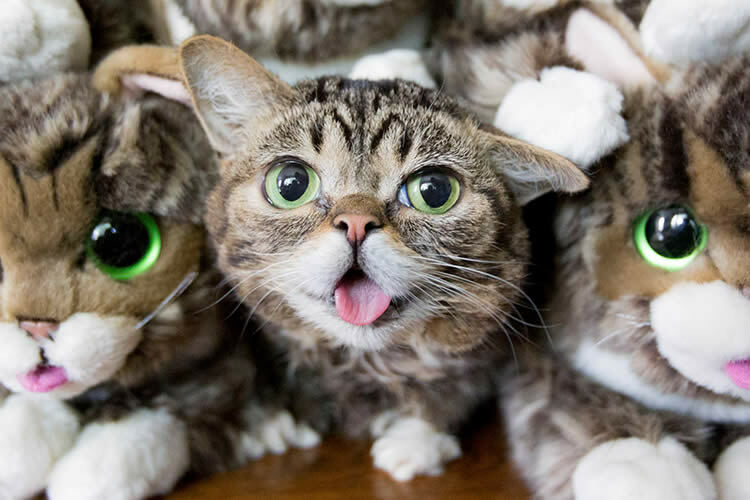 Lil BUB: Hello, it’s me, BUB. I still don’t quite understand the notion of “celebrity.” On my planet, everyone is equally famous. So using that as a frame of reference, I’m actually way less famous here, and come to think of it, that’s my favorite part. Sully: I think I look like George Clooney! What human celebrity do you look like? Sully: When your humans are watching television, what’s your favorite TV show or movie to watch? Lil BUB: We don’t partake in television, but we do love to look at the stars. Lil BUB: Hot air balloon pilot because why not. Lil BUB: Summer’s already over and I’m still deciding between strawberry and raspberry. Sully: When your humans are out of the house and you decide to surf the internets, what sites do you love to visit? Sully: In all of your travels, what is your favorite location or event? Lil BUB: Well, there is this fantastic planet only 3 and half light years away that is basically just one giant kitty waterpark. It’s called Kittywaterpark, and it’s my favorite location in the universe. Wrooooof! I was rescued from Noah’s Bark Rescue. I’m originally from South Central L.A. where I was found in a box in a parking lot with my littermates. Straight outta Compton! Nowadays, I spend my time napping and working on Sullyburger.com and get to interview awesome anipals like Norbert!